As anyone who has interviewed before will agree, a key part of delivering a powerful performance lies in great preparation. The old cliché fail to prepare, prepare to fail exists for a good reason. Having said that, however much preparation we do, there is always a chance we will get caught out. Something will come from left-field to catch us unawares. Most often, it’s a particularly nasty or difficult question or a challenge to something we’ve said. How we react to these moments can have a huge impact on the likelihood of being offered the job. React well and we show plenty of useful characteristics like calmness under fire, resourcefulness, maturity, clarity of thought etc. React badly and we just show that we aren’t that effective when things don’t go our way. Or we make things worse, which is even worse! Since we can’t really pre-plan a response to an unexpected situation, the only thing we can do is to expect something unexpected to happen, and know how to do something about it. The answer is being able to think on our feet. It is the opposite of freezing, or panicking, or acting without thinking first. Those people who see a car accident unfold in front of their eyes and jump into action are thinking on their feet. Those who freeze, aren’t. In an interview, the main trick to master is to actually give yourself time to think. Our brains usually only need a few seconds to order some thoughts. Those few seconds can make a huge difference to what comes out, the difference between a hurried answer and a well constructed answer. Without thinking first, you can start a sentence without knowing where it is going or where it will end. This is essentially what waffling is, and is guaranteed not to impress your interviewer. So when asked something unexpected, it is always best to take a moment and give yourself a chance to deliver the best possible answer. No interviewer will complain if you take a couple of seconds to speak – it’s not like they expect words to come from you the moment their lips stop moving! Repeat the question back to the interviewer. While you’re doing this, your brain will be busy starting to assemble a good answer. Invariably, an unhurried answer will always be better than a hurried one. Even when asked a relatively simple question, you can usually beat a solid quick answer with one that’s more thought through and coherent. 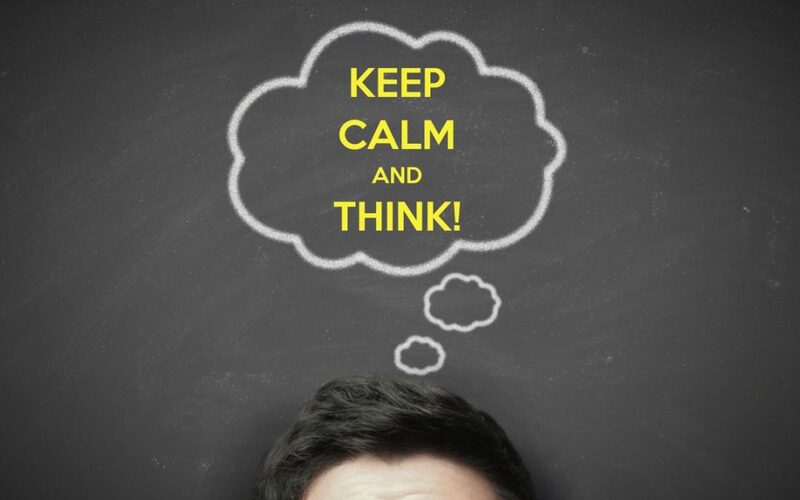 Taking your time to think through something in a deliberate manner also highlights a critical business skill. You are not rash. You listen carefully and take things in before responding. You give yourself time to engage your ‘executive functions’ – working memory and core cognitive skills that support information processing, reasoning and analysis – rather than relying only on what your gut instinct is telling you. By slowing things down you are also showing confidence in yourself. You’re not going to be bullied or shoved around by someone impatient for an instant answer. You’re entitled to think a little before acting. These tips are easy to learn and simple to execute. Not only will using them help you deliver better and more effective answers, your interviewer will see your ability to handle yourself well in a tough spot. Great qualities that could make all the difference in getting that job offer!